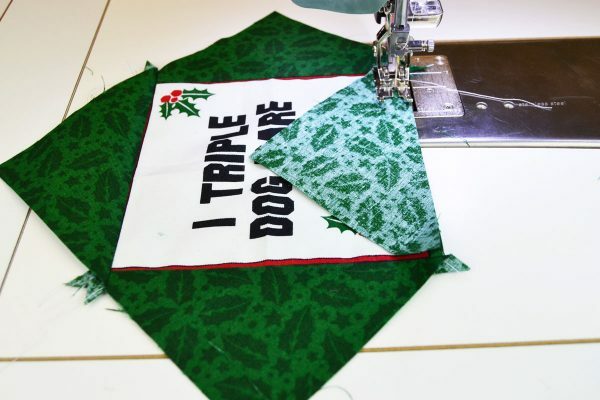 Use A Christmas Story themed fabric for this Christmas quilt tutorial from BERNINA Ambassador Renae Allen of RGA Designs, or print photos on fabric to make this a very special family quilt. 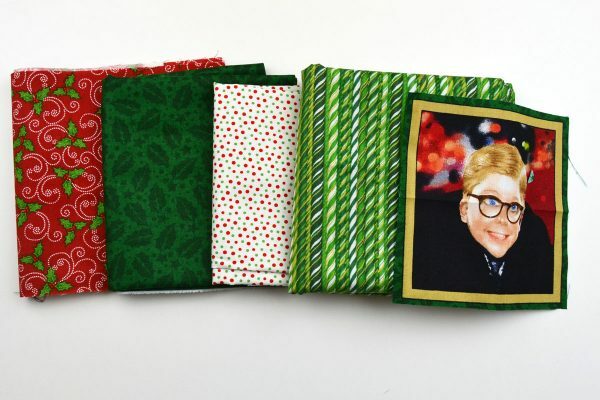 When I saw this fabric from the 1983 movie A Christmas Story, I had to make a Christmas quilt for my brother-in-law. He even owns a “Major Award” leg lamp! If you’ve seen the movie, you know what I mean. If you haven’t you are missing out on a great classic which you could be quoting the rest of your life. This pattern is quick and easy to piece–just what I needed for this busy time of year. Of course, other theme fabrics can be substituted to change up the look or the season. 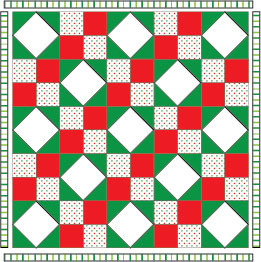 The finished quilt size for this Christmas quilt tutorial is 50½” x 50½”. 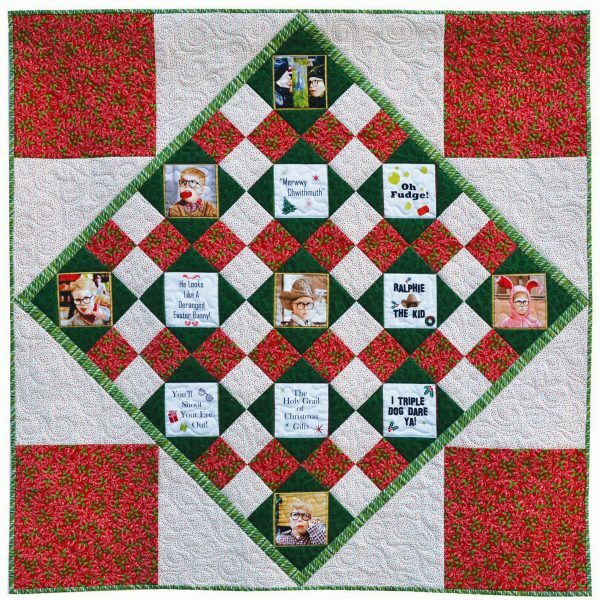 Christmas Square: Fussy cut theme pictures and words into 5¼” x 5¼” squares. Green fabric: Cut (3) 4¼” strips. Cut 4¼” strips into 4¼” x 4¼” squares for a total of (26) squares. Cut each square once diagonally for a total of (52) triangles. Red fabric: Cut (2) 13⅛” strips and (1) 3 7/8″ strip. Cut (1) 13⅛” strip into (3) 13⅛” x 13⅛” squares. Cut second 13⅛” strip into (1) 13⅛” x 13⅛” square and (3) 37/8″ strips. Cut 37/8″ strips into 37/8″x 37/8″ squares for a total of (24) red squares. White fabric: Cut (2) 13½” strips and (1) 37/8″ strip. Cut (1) 13½” strip into (3) 13½” x 13½” squares. Cut second 13½” strip into (1) 13½” x 13½” square and (3) 37/8″ strips. Cut 37/8″ strips into 37/8″ x 37/8″ squares for a total of (24) white squares. 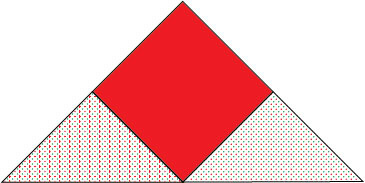 Cut (4) 13½” x 13½” squares diagonally once for a total of (8) triangles. Green Stripe—For stop border, cut (2) strips 35½” x 1½” and (2) strips 33½” x 1½”. (Be sure to measure quilt for exact measurement.) Cut 215″ of 2½” bias. 1. Four Patch: Sew white 37/8″x 37/8″ square white to red 37/8″x 37/8″ square, right sides together with a ¼” seam allowance. Repeat for a total of (24) two patch units. Press seams toward white. For a ¼” seam use the Patchwork foot #37/#37D , or the Patchwork foot #97/#97D works great with my 8 series machine because it compensates for the extra wide feed dogs. 2. Sew (2) two patch units together to make a four patch unit. Repeat for a total of (12) four patch units. 3. 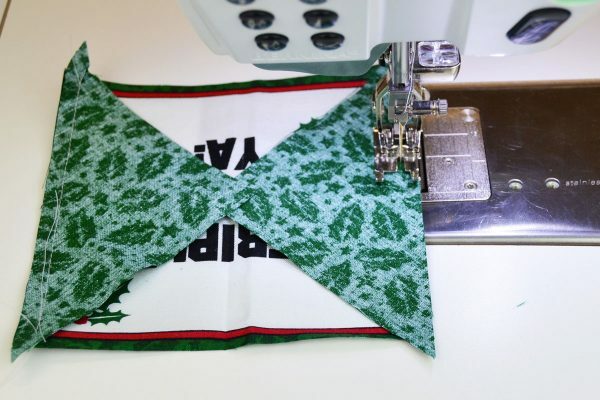 Square in a Square: Sew green triangles to sides of square. Sew green triangles to top and bottom. Press seams toward green and trim triangle seam points. Repeat for a total of 13 units. 4. Assemble Quilt: Layout out quilt, alternating square in square and four patch blocks. Sew blocks together in each row and then sew rows together. 5. Patchwork Border: Measure quilt for exact border length measurement. Sew 33½” x 1½” strips to sides. Sew 35½” x 1½” strips to top and bottom. 6. Corners: Sew triangle short side to square. Sew second triangle short side to square. Repeat for a total of (4) corners. Press the seams out and trim off the triangle seam points. 7. Sew corners to quilt sides and then top and bottom. 8. Layer quilt top, batting, and back. Quilt. I free motion quilted a holly leaf in the four patch squares. 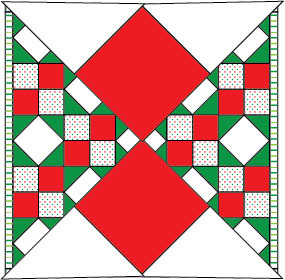 The leaves fill the square and are a continuous design so they can be quilted in multiple blocks without stops and starts. 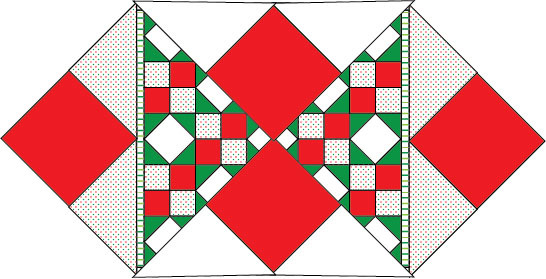 I quilted swirls in the white, a large meander in the theme blocks, and a holly fill in the red. 9. 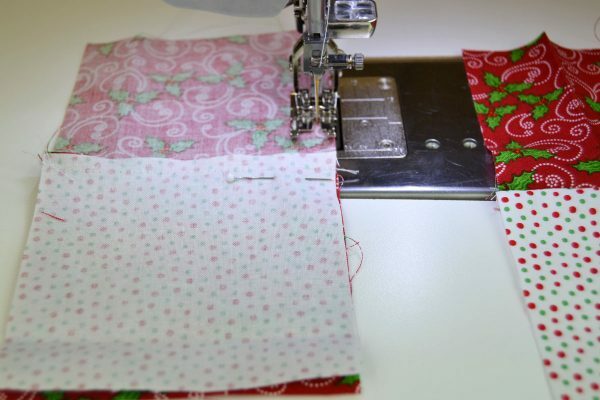 Binding: Sew the bias 2½” binding strips together on the short ends using a diagonal seam. Press the seams open. Fold the 215″ inch binding piece in half lengthwise, wrong sides together and press. Trim the diagonal seam points. 10. Trim the back and batting even with the quilt top. Sew the binding to the front, mitering corners. Turn binding to the back and stitch binding down by hand. An alternative is to sew the binding to the back, turn to the front. And then top stitch by machine using the walking or even feed foot. What was the theme of you most recent quilt? A winner will be chosen at random on December 5, 2015 and announced the following week! 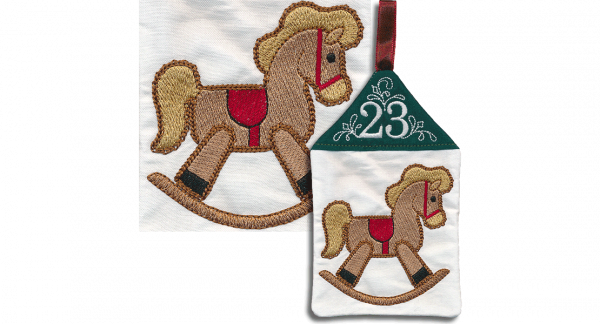 Congratulations to our WeAllSew reader “cindy429”, the winner of the December 4 gift. Enjoy! A collegiate baby rag quilt. visiting every continent. She is more than half way there!! A wonky star baby quilt! I made a quilt for my sister that featured appliqués poppies with stitch painted details. I named it Dara’s Garden Path. My most recent quilt was a Christmas tree themed lap quilt. 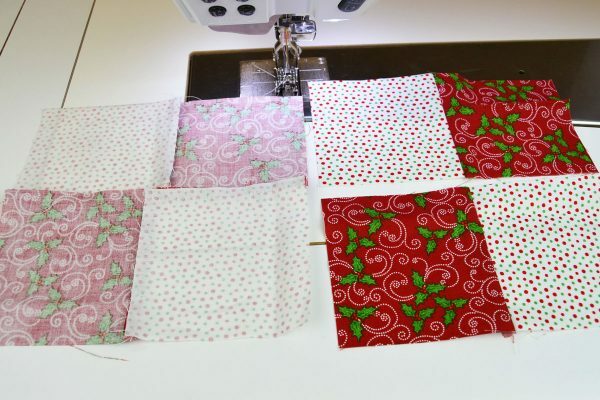 I saw the pattern on line, pulled out mt Christmas fabric stash and starting cutting. what a great project!! Thanks for the info & directions! The theme of the most recent quilting project I worked on (I am actually finishing it today!) is “Amazing Grace”. It is in blues, Browns and it is my 1st real project. I hope the person likes it because I sure do! I am currently working on a gingerbread house quilt. I enjoyed reading the story behind your quilt. I just finished sewing and quilting a Sunlit Applique Orange Peel Quilt… in yellow, orange, white, and black. Reminds me of summer days. I did a Grinch wall hanging last weekend. crathunde: I would LOVE to see your Grinch wall hanging if possible. I picked up a panel last week but don’t know what to do with it. The theme of my most recent quilting project is to use my mother’s vintage Christmas fabric stash. My latest quilting project is a star quilt designed by Pam See. I am making this for my niece who’s husband was a victim of a head-on motor vehicle accident (during a bad winter storm) 2 months before the birth of their third child I will finish binding it this week, and give it to her at our family Christmas party in two weeks. I just gave my new grandson a blue and white quilt embroidered with quarter moons with animals laying lazily on the moons. I also had the Man in the Moon and little versus like Twinkle Twinkle Little Star, I love you to the moon and back, etc. It was my own arrangement. a star wars themed king sized quilt for my son-in-law. A Star lap quilt in purples with snuggly flannel backing. I’m actually new to all of this and am amazed at the designs. I am hoping to start my first project soon. My last quilt was a night sky and garden wall hanging that I made in a class with AbbieAnne Searle and finished a few weeks ago. The theme of my recent quilt was ‘H2O’ a row by row quilt. My most recent work was a Christmas Table Cloth. I just finished a quilt for my sister whose name is JOY. The centre panel had the letters J O Y with cute mice hanging from them with a Christmas theme. I added several borders to make it lap sized. Her birthday is today! My most recent quilt was all about bikes – my husband and I ride a tandem, we each have a mountain bike, and he owns 3 motorcycles! What a great fabric collection. This quilt pattern is awesome. I can see me using this for other ideas as well. Thank you. In all honesty, I have not made a quilt recently for personal reasons. I am, however going to be starting some smaller ones soon for my grandchildren. They will each be based on popular things each of them like right now; ie. Frozen, Mutant Ninja Turtles etc. After those, I have a Marine Corp quilt in mind for my husband and this pattern is now going to be one in the running for those fabrics I already have. I’ve had a hard time choosing the perfect pattern as it is larger prints on some. This may work, but I’ll decide when that time gets closer. I finished both a Quilt of Valor and a baby quilt with an animal motiff. My last quilt was a noah’s ark theme for my grandson. My most recent quilt has a snowmobiling theme. My last quilt was a Peter Rabbit quilt for my grandgirl. This Christmas quilt inspires me to do one like it for my college grandgirl. I did make a picture memory pillow for her she uses on her bed at school. This quilt will be a perfect companion. Thanks so much for the inspiration! I am working on a wall hanging incorporating my Grandmother’s vintage handkerchiefs. This is a cute pattern that would work with any other type of focus fabric. Thanks! The last quilt I finished was a baby quilt for my great grandson. His mom and grandma both thought it was so beautiful. Being thankful-I made a Thanksgiving table runner. My most recent quilt was a log cabin. I am working on a t-shirt quilt for my niece with all of her cheerleading uniforms from high school. I am also working on another blue, green, purple quilt for my mother. My latest quilt is a Christmas gift for my husband. I wanted to make a lap quilt for him to use while watching football games. He wanted a large lap quilt. He said he wanted it to go from his chin down to wrap around his feet. I had him sit in his favorite chair and I measured exactly how long and how wide he wanted it. It will be a twin-sized lap quilt. I used Electric Quilt to design it. 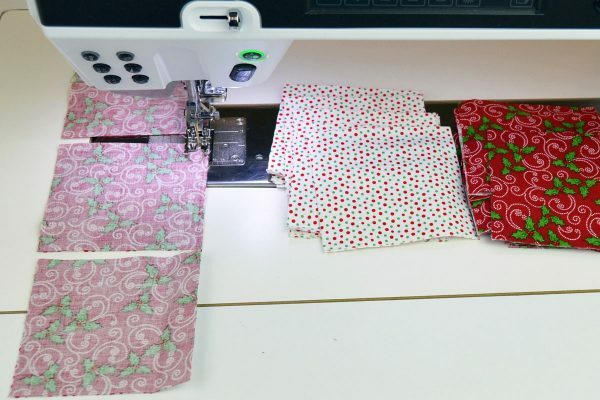 Electric Quilt automatically calculates the final size of the quilt as you design it. I adjusted sashing and border sizes on the screen until the quilt was the exact size he specified. I made it of flannel, and am quilting it now on my home sewing machine. He better like it. This is so cute and about my favorite Christmas movie. Just finishing a ‘star’ table runner using a technique I learned at my local Bernina dealer last year. It’s pretty neat. Not sure if I’m going to keep it or not, actually. My last quilt which I finished was a holiday banner quilt for a challenge, and I also have a Peacock quilt in progress. Have been working on small projects lately. My last quilt was themed around cats! Thank you for the great tutorial. My most recent quilt was a baby quilt for my granddaughter. I just finished a quilt that was all appliqued dogwoods. It was for the great-granddaughter of my 82 yr old neighbor. I made a quilt label on the back with a picture of my 82yr old neighbor and her great granddaughter with a handwritten love note to her great granddaughter The label was made on the quilt print fabric. She will be giving this to her great grand daughter the first week in January of 2016. It was a pleasure! My most recent quilt theme is the woods. I am making a rag quilt for my grandson from the Timber Trail Flannels by Moda..
My last quilt was a wall hanging with a fall theme. Thank you. Bright pinks and turquoises and yellows for my granddaughter’s new room and “big girl” bed. A more modern “60’s” strip pieced quilt! All things French….it was a baby quilt and the mom’s maiden name was French….cute fabric line with seals wearing berets and other french food and treats and the eiffel tower….very fun. My last quilt was a charity quilt, and it was done in nine-patch, country prints. When I learn to quilt, it will be cats! It was a baby quilt using an undersea scene with the main creature as an octopus. 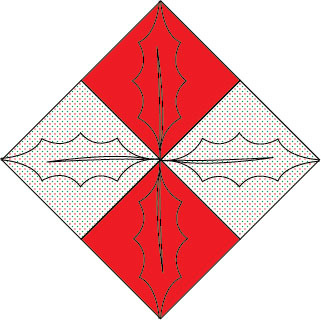 I have never made a Xmas quilt before and you pattern looks fun! I’m working on a new quilted table runner using blue and red as the Christmas colors. Uses beautiful red Cardinals as the theme. My most recent quilt (finished just a week ago) was a baby boy quilt using modern block designs!The colors were blues and greens. A wall hanging of a “snowgirl”. It is called Late Bloomers: a quilt made of floral applique BOM my mother had won from her guild. She had started it, but at 93 no longer had the interest to finish it. It added the borders and then did the quilting. Turned out delightful! My most recent quilt was a star quilt – all different star blocks in a scrap quilt. A pink and white fleece block baby quilt with embroidered animals and her name for the center block. my latest quilt is a Christmas tree skirt using quiltworx’ prickly pinecones pattern. My latest quilt project was a table topper, part was hand embroidered snowmen ” Let it Snow” The corner stones were machine embroidered snowmen. Roses, embroidered, for my new granddaughter’s nursery. It was a baby quilt with colorful blocks containing straight, leaning tree trunks. I just finished my “Flurry” quilt this afternoon! It’s got a bunch of cute Christmas presents with fun lime green, traditional green, red, pink, etc. fabrics. Buying my minkie in a few minutes at my local Bernina shop and then will quilt it tomorrow on the longarm! SO EXCITED! Boy playing rework for a baby boy quilt. I made a beach themed quilt! I am working on a Christmas wall hanging called the night before Christmas. A baby quilt. I can see many uses for this quilt pattern, thank you for sharing. Love this pattern, and it would so easy to personalize it with family photos! My most recent quilt is a bright vibrant mandala pattern on a black background that I designed myself. Quilt with embroidered bible scriptures for a friend with cancer. A quilt with embroidery snowmen on it. Trucks, trains, and monkey tails. All for a little boy. I like this quilt and would make it. D hall i like the picture of your dog. 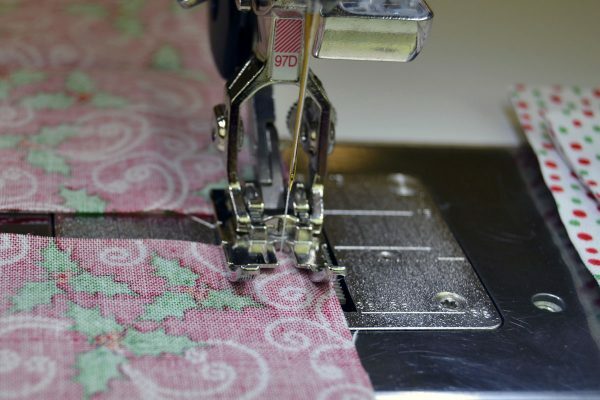 Plus i like what Bernina is doing for Christmas. Great ideas. My most recent quilt was made from reproduction fabric in primary colors. My latest project is a couch throw for my best friend. I started with a panel that had quotes about friends, chocolate and having fun together. its coming along nicely Her birthday is Wednesday so I better get back to sewing! I’m currently finishing up the quilting on a hand embroidered , machine quilted wall hanging. It is a Black Cat pattern, Aunt Bea’s Parlor. Lots of work, lots of mistakes, but a great deal of fun. I’m working on a cat quilt right now. It is a Christmas gift for my daughter-in-law. Thank you for the great tutorial. I have two “I Spy” quilts waiting to be quilted for babies of family friends.With 81 patches of from novelty fabrics, there’s a lot of spying to do. Christmas! A nice Christmas throw in red, green and white prints. All that is left to do is sew on binding. Thanks. I just recently finished a baby quilt of summer beach items. Patriotic red white and blue. The last quilt I just finished is a flannel bear quilt for my new great granddaughter for Christmas. I made two wall hanging quilts using ombre fabric and made them in bargello style. They hang in my living room behind my husband’s and my chairs. A tshirts quilt from my daughters high school running shirts. a brightly colored quilt with lots of pink and a cuddly minky backing for my favorite niece. My latest quilt was Newport Fantasy for a family member for Christmas. I am binding it now. 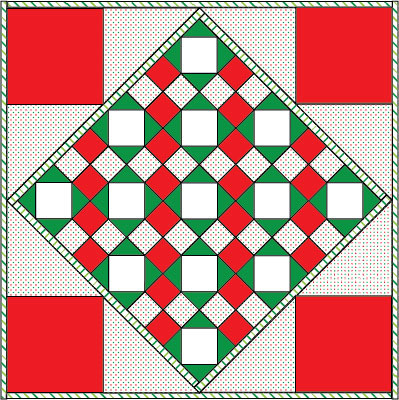 the appaloosas so I am quilting it with geometric designs they used in their basket weaving. My most recent quilt uses fabric from Dr. Seuss How the Grinch Stole Christmas. Wish I had seen this before I started making it – what a cute layout! I am working on my first “less than traditional” quilt for my daughter’s Christmas gift. If I finish it, it will be the first I ever actually finished. LOL. RW Birds, for Christmas table runner. My last quilt was just random squares of fabric. It has been quite a while since I made it, but it was very much loved by my kids. The fabric got to be so bare in places, that I patched over some of the squares with new fabric. I am more of a garment sewer, but am interested in quilting. There are many little quilting projects on my radar. I called my last quilt ”Plaisirsd’automne”. It’s a fall themed quilt. I am hoping to finish it this week! It was a talk-about fabric picture quilt for a great-nephew who is 4 years old. I also made a fleece lap blanket with bear print fabric trim and a separate pillow cover for it to tuck into or that will fit a standard pillow. Foxy Baby Quilt was the Theme, Baby Boy was born this Morning! I finished the Quilt Last night just in time! I have never made a quilt. I have received several as gifts and after seeing the level of work making one on the tutorial, I will treasure them. My most recent quilt was a very scrappy churn dash pattern. The last quilt I made was bicycle themed for a raffle prize in honor of our local search and rescue team. I made a baby quilt of vehicles, for a friend’s new grandson. 23 machine aplliqued vehicles from space ships to submarines and everything in between. The most colorful quilt a baby has ever owned! Absolutely beautiful and loads of fun! My most recent quilt was a Sports theme quilt. It was a t-shirt quilt I made for a friend. I am quilting a Butterfly quilt made with Drunkards Path blocks right now. I made it small to see if I was going to like it. I do so now I will find more flower fabric and make a large one. The last quilt top I finished was a quarter Trip Around The World. It was part of my quilting guild’s charity quilt program where we make quality quilts for several organizations such as Children’s Hospital and oncology wards. Every quilt top was different as we used up a wide variety of donated fat quarters. Mine was in warm shades of brown and burgundy, a wonderful, homey fall quilt appropriate for both men and women. I learned a lot and hat a great time that day! I had some jelly roll strips left and sewed them into a baby quilt for my great nephew. I was lucky enough to find matching fabric pieces for the back. The theme is All Things Boys. buggy barn trees was the last one it’s not finished. my youngest wants to do a “strip twist” with me by Bonnie Hunter so that’s the next. A chevron quilt for a gift. Wall hanging for my kitchen for Thanksgiving. I am working on a fish quilt using Reel It In for my son for Christmas. The theme of my most recent quilt (still a WP) is a play of colours in a tumbling blocks I’m working on. Now this tutorial has my head swirling with ideas so adding this to my bucket list. My last quilt that I am almost finished with was “The Stockings Were Hung”. It was an machine embroidered quilt and I learned a lot from it. I had to do several re-hoopings to get the borders embroidered, but I love it. I get to pick it up from the quilter today. Yipee! A baby quilt with embroidered bunnies going to a tea party. What such fun to make this quilt for my wonderful great-granddaughter and using my Bernina made it sooo easy. The quilt I am building now is a log cabin theme. This project has been very helpful and exciting for me. My last quilt was all about fish and water. Both of which I love dearly! The theme of my last quilt kit is bears in the woods. This project is quite useful for us beginners. The quilt I am making has an Elsa panel in the center. I am working on smaller projects at the moment. My last quilt was a log cabin. Love that block. My last quilt was one I designed myself. It was an undersea scene with appliqued and embroidered corals, fish and marine invertebrates on a pieced batik background. Christmas table runners for my two kids for Christmas surprise. Not really a theme but it’s a twin size quilt my 9 year old granddaughter and I have been working on. It’s 100 7 inch squares; 10 in a row by 10 rows. She choose Zanie Zoo layer cake to start and pulled solids and others from my stash. She pieced the all the squares by her self after I got her started with the first row! I added borders and an now finishing the quilting to bring to her at Christmas in NM. We have been working on the quilt during visits with each other; me in MA, she’s in NM. She’s done a great job! I’m going to take her picture and send it to the magazine whose pattern she selected. I have many small projects going for Christmas but that’s it for a quilt.